While much of the fun in Alien Archive 2 for players is looking at new playable species, there's much more player-facing content than just aliens to make into new characters. Like the first Alien Archive, we wanted to help describe the strangeness of a science-fantasy universe with rules elements any character can pick up and use. Unlike Alien Archive, we made sure to create an index (Appendix 9: Rules Options) to list them all in one place for easy reference. There are lots of items, including weapons (such as the phasic scythe), defensive items (such as the adaptive defense module), technological items (such as the plasma diverter), hybrid items (from the mi-go brain cylinder to the Shotalashu saddle), magic items (such as the calecor skull-globe), a surprising number of augmentations (six of them!) , and even a computer upgrade (the telepathic user interface). Each of those is tied to a specific creature entry, in ways that help define that creature's place in the galaxy. 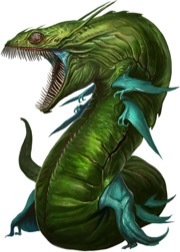 For example, the glass serpent is a terrifying ambush predator that roams the blasted wastelands of Eox (though similar creatures have been found on dozens of planets, including many outside the Pact Worlds). The scales of a glass serpent can absorb and bend light, which the creature controls with its musculature to become invisible. 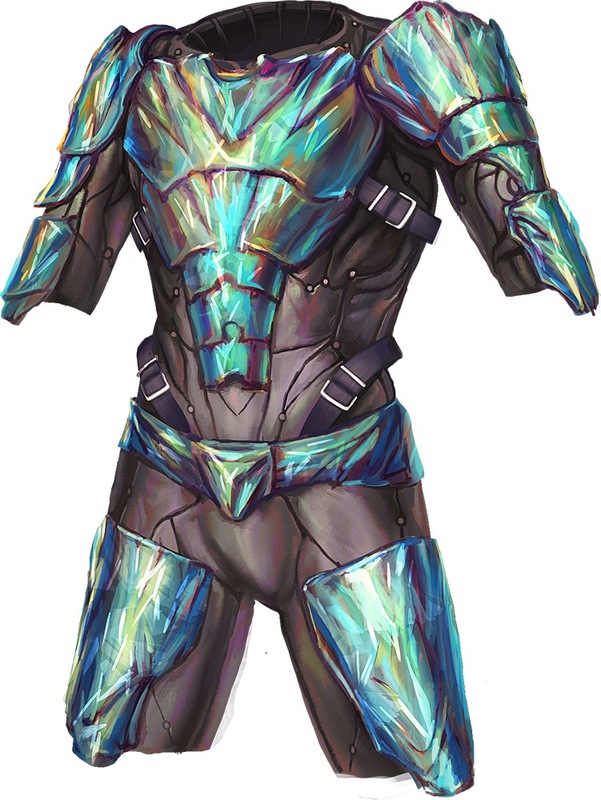 While a glass serpent's skin isn't a continuous cloak of invisibility just because you remove and present it, it can be used as the basis for stealth technology, including the glass skin augmentation and lightwarp inlay armor upgrade (previewed below). This specialized coating of glass serpent scales shifts its collective angle in response to localized electrical fields created by a delicate circuitry inlay, allowing the bending of light around you. You can activate this inlay as a standard action to become temporarily invisible (as the invisibility spell, save that the process is purely technological rather than magical). This invisibility lasts until you deactivate it (which you can do as part of any other action) or the inlay runs out of charges. A lightwarp inlay's charges replenish each day. 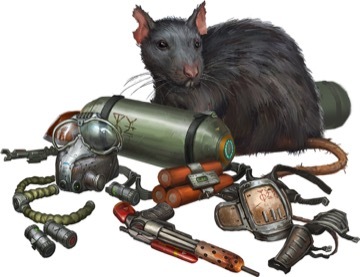 There are also two feats (Polymorph Adept and Squox Companion), which tie to specific new options, one of which is obviously an element of magic that so far Starfinder hasn't gone into—polymorphing. A set of core rules present a flexible set of general guidelines for what happens when magic changes your form and then a set of variable level spells (polymorph and baleful polymorph, along with mass versions of each) give spellcasters access to those shapechanging powers. A number of forms are presented (from simple kalo form to more complex blue dragon and fire elemental forms) to allow polymorphing to be accessed quickly, but the rules are also presented to allow a player and GM to build forms for nearly any conceivable creature. After all it's a big galaxy out there, and there's no telling what weird things a character might want to change into! 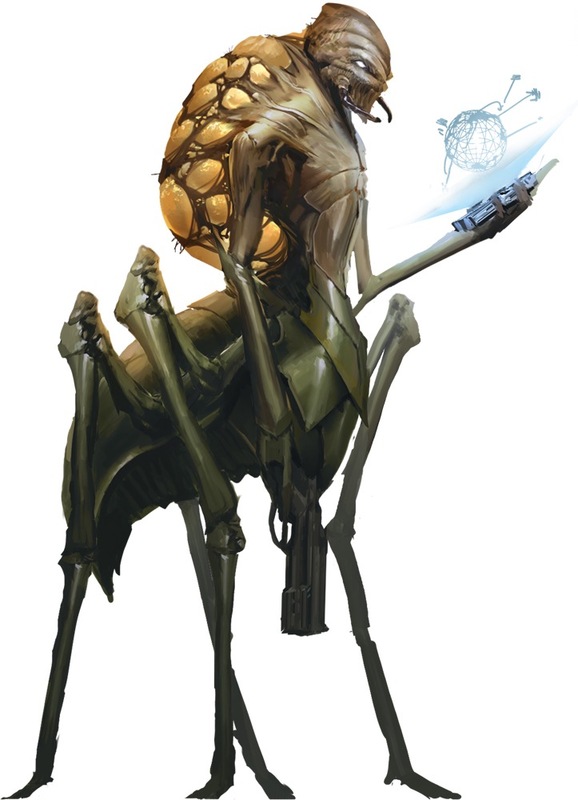 By now, many of you have seen the myriad of interesting and incredible creatures found within Starfinder Alien Archive (and if not, what are you waiting for? ), but you might be wondering how we went population this book. After all, the galaxy is a very big place, full of all manner of beings—and that doesn't even begin to cover the infinite planes of existence. Luckily, we had a few places where we could start. When we started thinking about Alien Archive, the Pathfinder RPG had already printed five Bestiary volumes (Pathfinder RPG Bestiary 6 was at the printer at the time) that we could mine for ideas. In addition, Pathfinder Campaign Setting: Distant Worlds established a number of tentpoles regarding the Starfinder setting, albeit in the distant past. Conceivably though, some of the monsters and cultures name-dropped in that volume would still be around! However, to truly capture the feel of a weird, science-fantasy universe, we also needed brand-new creatures. To that end, several of us here at Paizo absconded to a conference room and began filling up a whiteboard with ideas: general concepts (space mermaid), cool-sounding names (assembly ooze), and specific alien features (ability to break into constituent pieces). The fruits of our labor can be seen below. After all that, we needed to make some hard cuts. We knew dragons should be in the book, but we couldn't give them the space that Bestiary volumes give them, so we stuck with the evil chromatic dragons. We thought angels and devils should be represented, but we could only have one of each. We wanted to make sure that each creature type would be represented, and And, of course, each of us had our own ideas for the book. I argued that we needed at least one starship-sized creature. Rob McCreary noted the Azlanti Star Empire with their Aeon Guard was one of the setting's core threats and should be in the book. Owen K.C. Stephens persistently urged for the inclusion of the nuar, a nod to one of the first things he ever wrote for the world of Golarion. Amanda Hamon Kunz wanted to design a creature for the kaiju-infested planet she wrote for the core rulebook. Similarly, James Sutter was interested in fleshing out some of the races he originally wrote about in Distant Worlds. Some of our other coworkers who took freelance assignments for the book (Crystal Frasier and John Compton) voiced their own opinions on what it would be fun to write. All this information went into several spreadsheets and we organized and re-organized it until we hit on a final list, which was sent out to writers, who returned with some terrific takes on what were sometimes very odd requests. In the end, I think we curated a fine collection of creatures that flesh out the world of Starfinder, as well as provide GMs with a wide array of foes for their players and players with some exciting new choices for races they can play! Ever since Alien Archive was announced, the organized play team has received a veritable flood of questions concerning the legality of this new book. 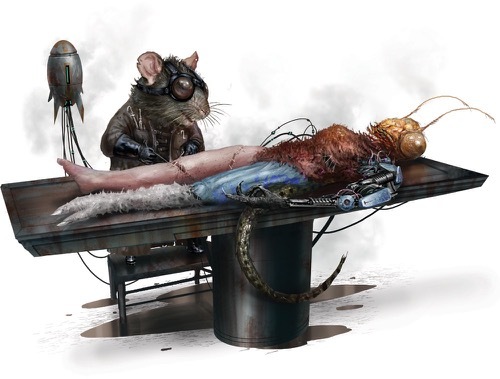 As was recently revealed, Alien Archive contains 22 new playable races for the Starfinder Roleplaying Game. So today, I want to take some time to discuss our current and future plans for getting these amazing new alien races into the Starfinder Society. First off, I want everyone to know that the "cantina feel" is important to the Starfinder Society campaign. We want players to have access to a wide array of fun and unique species to create characters with. We want those characters to explore the similarly diverse universe that is Starfinder. Along with that, we also want to balance the experience for those dedicated people behind the GM screen. 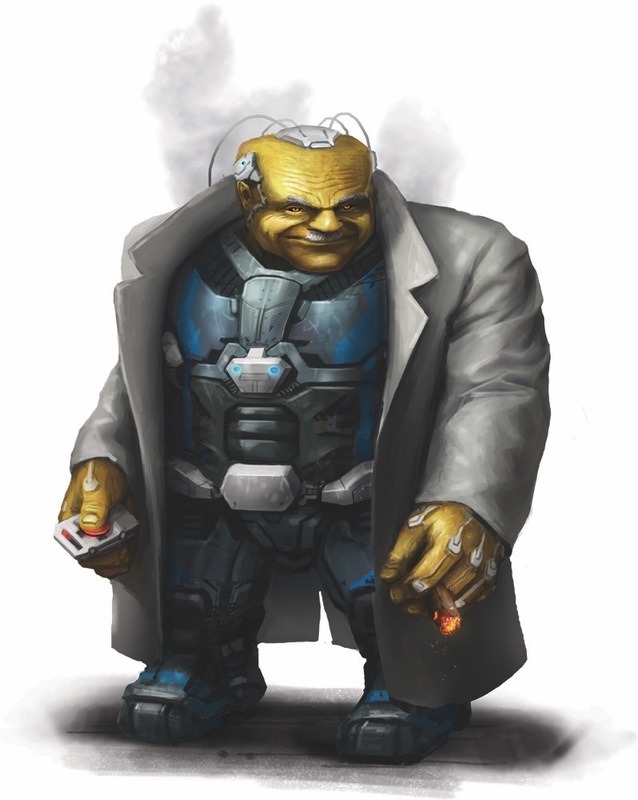 Most people are still getting acquainted with the Starfinder rules, so introducing 22 playable races right away can be another layer of complexity for some. So, to start, we will be introducing several of the new playable races in a way that shouldn't overwhelm GMs, while still promoting some of our core goals for the campaign. Conventions are a major source of pride for many communities, and we've repeatedly heard from event organizers and venture-officers that access to race boons is a big draw for many people attending conventions. We'll be providing several Alien Archive races via conventions, but with some additional tweaks to make a wider array of races more accessible to people across the world. First, over the coming weeks, we'll be creating a group of four informal "mega regions" that group together existing organized play regions; these are just ways for us to organize this distribution, not a new administrative unit with assigned leaders. Conventions in each of these larger regions will receive a GM reward Chronicle sheet that provides access to a choice of two different Alien Archive races, similar to how existing convention support works for the Pathfinder Society Roleplaying Guild but with more options. Because these mega regions will have different available races, it should also provide some additional incentive to travel to different areas in search of new race boons. If you're concerned about missing a desired race boon because it might be in a different region, fear not! We're aiming to regularly rotate which races are available—roughly every quarter—so that players can still have a chance to collect these boons locally, without having to travel outside their region. For example, Races A and B might start in Region 1, and Races C and D might start in Region 2. After about three months, they might swap so that Region 1 GMs would have access to Races C and D.
For those of you who are not able to attend conventions, we recognize that there needs to be other means of accessing playable races. The first method, available today, has its roots in the Regional Support Program GM incentive. Rather than focusing on GMing, this new Chronicle sheet is entirely based on games played. In the same vein as the Regional Support Program, this is a multi-tiered boon that will begin by allowing players access to a ryphorian or wrikreechee after playing in six unique scenarios with any combination of characters. For those holding onto the Chronicle sheet a bit longer, the barathu race becomes available after playing 12 unique scenarios. There are some key things to note about this boon. First, it is entirely based on games played, so GMing does not count towards completion; we have the Regional Support Program and convention rewards for GMs. Second, while the boon itself requires that you "...play an adventure for which you have not previously received credit on this boon..." it does provide greater progress for playing sanctioned Adventure Path material. Along the same lines, once you apply a boon from this Chronicle sheet to a character, the Chronicle sheet is considered used, but you can immediately start filling in a new copy of this Chronicle sheet. While standard replay rules apply, you can fill in a few of the lines by partaking in repeatable content—so while you can't fill these Chronicle sheets out by continually replaying Starfinder Society Scenario: #1-01: The Commencement, you can still get a few extra lines filled from those repeatable adventures when you start filling in a new Chronicle sheet. Finally, you'll note that this boon has a limited period of validity. This is intentional, as we hope to swap out the races on this boon to make more available to the general player base. Given this shortened period, it seems appropriate to issue an immediate ruling: previously played Starfinder Society scenarios are considered valid and can be applied to this Chronicle sheet immediately, so long as they follow the required rules listed in the Chronicle sheet. For some of you, this might mean you've already completed the Tier 2 requirements and now have access to the associated races—enjoy! Finally, I want to open up a discussion in the comments below about future methods of distributing playable races to our players. We're already hard at work planning out scenarios that could allow access to new races, as well as other potential events where we can release Chronicle sheets opening up further options. But, despite our best-laid plans here on the organized play team, I would like to get some feedback on how our players would like to see playable races added into the campaign. As we're really just finishing our "First Steps" (bad pun, sorry) feedback is important, and now is a great time to see what you, the players and GMs, think about how we can proceed. The first hardback sourcebook for Starfinder is Alien Archive, a book with scores of npcs and monsters drawn from numerous species and rules for creating brand new creatures. That obviously makes it a book GMs are going to get a lot of use out of. But there's a great deal more to it than just a bestiary of space monsters. Alien Archive has lots of additional material that's useful to players, from new player character races to new equipment options and even a whole set of summoning spell rules. While there are stat blocks appropriate for GM use with every species, 22 of them also give the traits that allow the creation of player characters of that race. 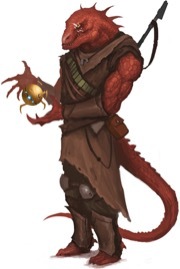 The races that receive the racial traits to allow them to be used as player characters (along with their size when it is different from Medium, and their type and subtype if any) are: barathu (aberration), contemplative (monstrous humanoid), draelik (humanoid, draelik), dragonkin (Large dragon), drow (humanoid, elf), formian (monstrous humanoid), space goblin (small humanoid, goblin), gray (small humanoid, gray), haan (Large monstrous humanoid), ikeshti (small humanoid, ikeshti), kalo (monstrous humanoid, aquatic), maraquoi (humanoid, maraquoi), nuar (monstrous humanoid), reptoid (humanoid, reptoid, shapechanger), ryphorian (humanoid, rhyphorian), sarcesian (Large humanoid, sarcesian), shobhad (Large monstrous humanoid), skittermander (Small humanoid, skittermander), urog (Large magical beast), veranthi (humanoid, veranthi), witchwyrd (monstrous humanoid), and wrikreechee (monstrous humanoid, aquatic). While some of those races are familiar to players from Pathfinder or earlier Starfinder products, others appear here for the first time. As a sample of the new kinds of creatures available to players, here are the racial traits for wrikreechees, chitinous natives of the watery planet of Akchios. Amphibious: Wreikreechees are able to breath both water and air normally. Cooperative (Ex): Wrikreechees spend much of their lives in close contact with one another, learning to predict their neighbors' reactions and coordinate their actions. A wrikreechee gains a +2 bonus to skill checks for the aid another action and to attack rolls to provide harrying fire. A creature using the aid another action to assist a wrikreechee's skill check gains a +2 bonus to her check. Sheltering (Ex): A wrikreechee instinctively knows how to exploit sources of cover. When a wrikreechee is benefiting from partial cover, cover, or improved cover, the granted bonus to its AC and Reflex saves increases by 1. Snag (Ex): Thanks to the feathery material lining its forelimbs, a wrikreechee is adept at grabbing small prey. A wrikreechee gains a +4 bonus to attack rolls when attempting to grapple a creature smaller than itself. As a full action, a wrikreechee can make two attempts to grapple a creature with a -4 penalty to the attack rolls. 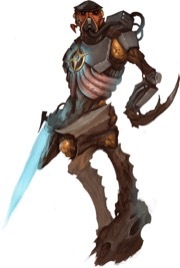 Beyond the expansion of 22 new players races, many of the creature entries also include equipment that can potentially be made from a slain monster (such as the bones cestuses that can be crafted from a crest-eater), or that is an advanced item most often found in the possession of members of a specific race (such as the grays' memory expunger) or even a whole new kind of technology (such as the nuar's multifunction maze-core technology). Each piece of new equipment is tied to a new race in some specific way, allowing players to know what kinds of gear is preferred by members of various races, or to allow them to benefit from overcoming foes that can be usefully turned into equipment that may not otherwise be available. Finally, Alien Archive includes the summon creature variable-level spell, which is available to both mystics and technomancers. This spells allows spellcasters to select four types of planar creatures that can be summoned, ranging from angels, devils, and other outsiders to elementals, shadow creatures, or even beasts from the First World (only for mystics) or robots drawn from pieces scattered through the Astral Plane (only for technomancers). Where appropriate, specific creatures from the Alien Archive are available as choices to be summoned by the spell, but a series of simple templates ensures a wide range of generic outsiders can also be called upon. 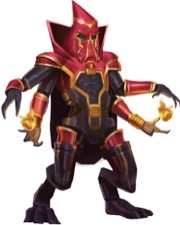 If a mystic wants to focus on summoning good outsiders, it's possible to have an agathion, angel, archon, and azata at every spell level the mystic can cast summon creature. 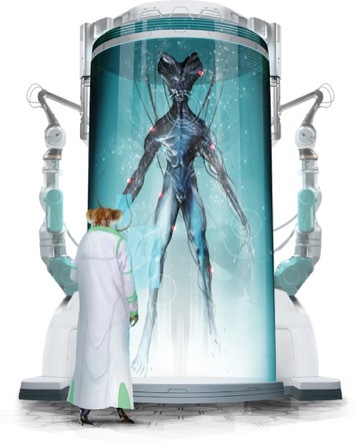 While not every player may wish to use equipment from distant cultures, and GMs may not make all the new potential player character races available in every campaign, the ability to have new life forms and new civilizations impact player options is an important part of the information presented in Alien Archive. There's a chill in the atmosphere, a hint of pumpkin spice in the air recyclers, and fallen leaves are littering the floor of the hydroponics bay. Yes, October is here, and so is the Starfinder Alien Archive! Over the next few weeks, we'll be previewing some of what can be found in this newest offering for the Starfinder RPG, starting with some goodies for Game Masters! The Alien Archive is chock full of strange alien creatures and fearsome extrasolar monsters to populate your Starfinder games, but when your players discover an uncharted world deep in the Vast, you'll want to create your weird own native life-forms to inhabit it. Fortunately, the Alien Archive has you covered! 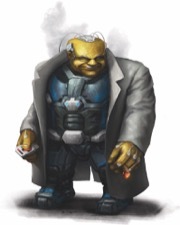 First off, in Starfinder, all nonplayer characters (NPCs as well as monsters) are built using different rules from those used to create player characters. Since most monsters are needed for just one encounter, this system allows GMs to quickly and easily create NPCs and monsters without having to go through the entire process of building a player character. So how does it work? 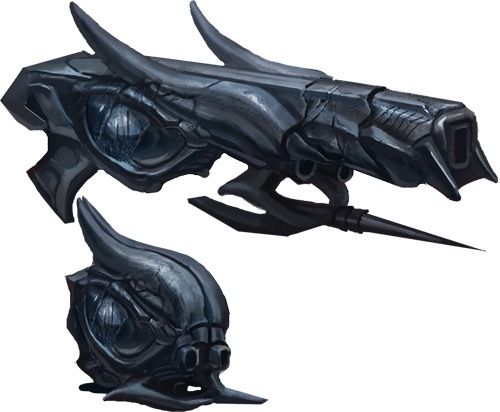 The central components of monster creation in Starfinder are arrays and grafts. Every monster derives the majority of its statistics from one of three arrays, which define the monster's primary role: combatant, expert, or spellcaster. Unsurprisingly, combatants are those who excel in combat, experts are more skill-focused, and spellcasters primarily use spells or other magic. The numbers from a monster's array are not set in stone, but they give you a baseline that can be modified by grafts, special abilities, or your own preferences. After you've chosen an array for your monster, you add grafts to it, which adjust the monster's various stats and add additional abilities. There are grafts for creature types and subtypes, as well as a graft for each character class. Generally speaking, an NPC or monster will only use a creature type graft or a class graft, not both, depending on the monster's focus. Template grafts are another option that transform a creature in some way. 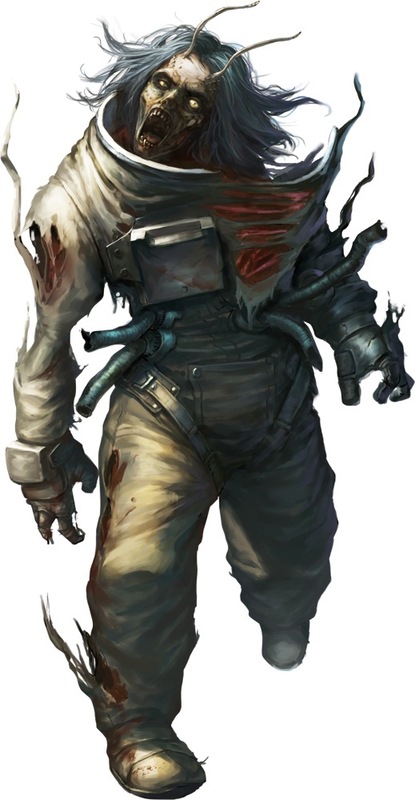 For example, you might create a new alien using the combatant array and the monstrous humanoid creature type graft, then turn it into a shambling, technological undead horror by adding the cybernetic zombie template graft. Once you have these basics in place, you can start giving your monster special abilities. The monster's array and its CR determine how many special abilities it has. 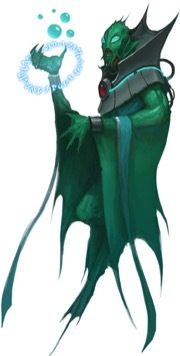 If a monster has a class graft, that class determines most, if not all, of its special abilities, but for non-classed monsters, you can add your own abilities or choose abilities from the list of Universal Creature Rules—those special abilities that appear in the stat blocks of the various creatures in the Alien Archive. By this point, you're mostly done. Choose your monster's skills and determine a few other statistics like initiative, speed, and languages. If your monster has spells, you'll need to determine which spells it can cast, and you might need to outfit your monster with some armor, weapons, and other gear, but you should have all the statistics you need to use the monster in play. In addition to dozens of fully detailed creatures, Starfinder Alien Archive provides GMs with tons of options to build and customize NPCs and monsters for Starfinder. Check out the full rules and keep your eyes on the blog for more Alien Archive previews!